Donnie Wahlberg would like to see One Direction get back together before their time runs out to make a comeback. 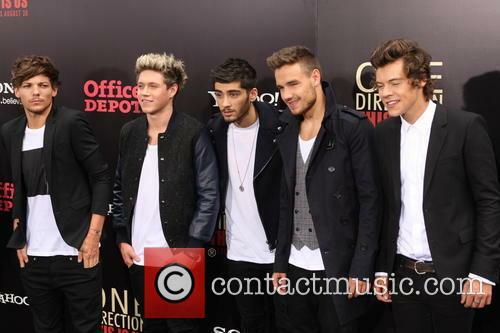 The New Kids on the Block singer has urged the foursome - comprised of Harry Styles, Louis Tomlinson, Niall Horan and Liam Payne - to get back together as soon as possible following their extended hiatus otherwise their chances of achieving the same success they have done over the past five years will diminish dramatically. Speaking to The Daily Star newspaper, he said: ''They were pretty great, they were all really great vocalists individually. I would love to see them reunite, they were sort of reaching heights that very few bands, let alone boybands, ever reach. Niall Horan Says One Direction Still Have "Albums Left To Do"
Niall Horan has raised the hopes of all One Directioners across the world in his latest interview by revealing the band still has "albums left to do". The Irish member of the four-piece outfit said he and the boys will be releasing more material with the man who made their success possible: Simon Cowell. During an interview with The Sun, the Slow Hands singer denied talks of a split and said the band was still on a hiatus and would be returning after each member had brought their own solo music out and they each had had a chance to tour. Continue reading: Niall Horan Says One Direction Still Have "Albums Left To Do"
Ana Becerra told TMZ that she is pressing charges against Tomlinson, saying the 1D star "punched" her during the scuffle last week. However, the video evidence of the incident doesn't appear to bear her story out. Nearly a week after the much-reported airport scuffle between Louis Tomlinson, two women and a photographer in Los Angeles that has been dominated headlines for days, one of the alleged victims has given her side of the story – but fans have been prodding her testimony for inconsistencies. Ana Becerra has announced that she’s decided to press charges against the 25 year old singer after talking to the police, but her version of events doesn’t seem to entirely play out in the video evidence that was posted in the wake of the fracas last Friday (March 3rd). Tomlinson has claimed that he was simply defending his girlfriend, Eleanor Calder, after she was cornered by two female fans and a photographer at LAX as they were arriving. Despite his seemingly reckless behaviour during his airport bust-up, Louis Tomlinson has found some support in the shape of Mel C who said she has been in the same "frenzied situation" as the 1D star before. The former Spice Girl sympathised with Louis who tripped and dragged a photographer to the floor with him, with the man claiming he had been hit on the head. The star was released on bail following the incident where two female fans also got into an altercation with the singer’s girlfriend Eleanor Calder. The incident happened at LAX airport on Friday night. 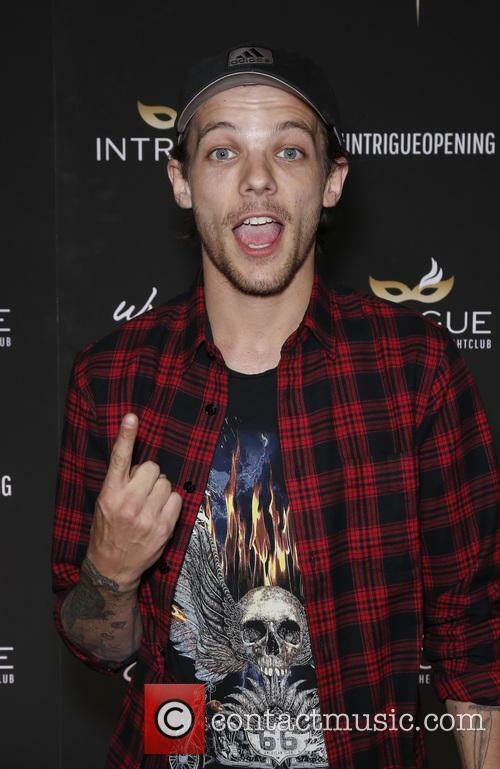 One Direction singer Louis Tomlinson was placed under a ‘citizen’s arrest’ on Friday night after an altercation with a photographer at Los Angeles International Airport. The incident took place while Tomlinson was at the baggage claim with Eleanor Calder, who he dated for four years until March 2015, but was recently rumoured to have rekindled his romance with. Liam Payne is set to produce his own album. The 23-year-old singer - who is known for being a member of the popular boyband One Direction alongside Zayn Malik, Harry Styles, Louis Tomlinson and Niall Horan - is in the studio working on his debut LP, which he is rumoured to be working on with DJs and other producers to educate him about producing. Producer Digital Farm Animals - real name Nicholas Gale - teased the news to the Daily Star newspaper, he said: ''I've been doing a lot with Liam. 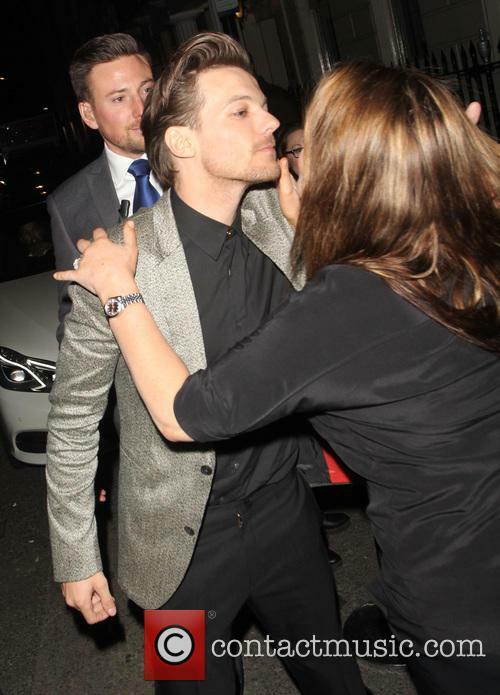 Louis joined his ex Briana Jungwirth for the celebrations. Louis Tomlinson and ex Briana Jungwirth celebrated the first birthday of their son Freddie Reign on Saturday. In a video posted to Briana’s Instagram account, the One Direction star was seen holding up his son as he tottered towards his birthday cake. Briana captioned the super-cute clip, ‘Special first birthday :)’. 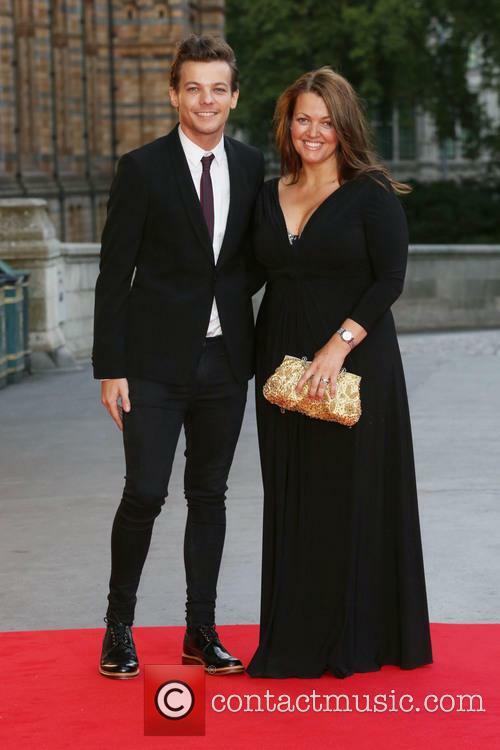 The break-up follows the death of Louis's mother Johannah. 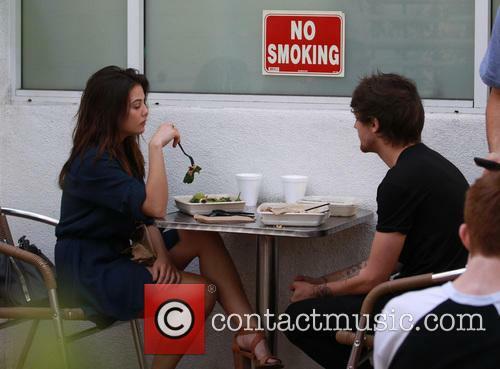 After a troublesome year, Louis Tomlinson is apparently making a fresh start as reports suggest that he has broken up with his partner of one year Danielle Campbell. The split comes more than a month after the death of his mother who passed away from leukemia. It seems the pair are determined to stay friendly, however, with Danielle having been of much comfort and support to Louis over the last few weeks. But it seems their relationship has been somewhat altered recently (due to Louis's bereavement or otherwise) and they have mutually decided to go their separate ways. The former 1D man spoke in a new radio interview about the passing of his mum, Johannah Deakin, and his emotional performance on 'The X Factor' just days afterward. 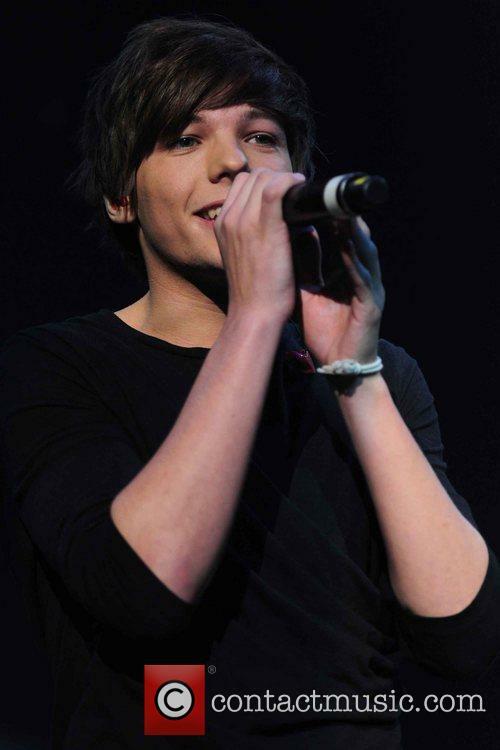 A little over a month after the death of his mother at the tragically young age of 43, Louis Tomlinson has spoken about the matter for the first time publicly, revealing that he wanted to “throw the towel in” on his singing career but that a “stern warning” from her before her passing made him continue. The 25 year old former One Direction star lost his mother, Johannah Deakin, to leukaemia in early December – just days before he launched his solo career with an emotional appearance on ‘The X Factor’. Brett Clark, the stepfather of Louis Tomlinson's baby mama Briana, has apparently threatened to sue the owner of a number of 1D fan sites over allegedly false stories. Briana Jungwirth, the mother of Louis Tomlinson’s baby son Freddie, is reportedly at loggerheads with a number of One Direction fan sites after her stepfather supposedly wrote letters to sites for publishing false stories about her. TMZ reported on Thursday (December 29th) that Brett Clark, who is 23 year old Briana’s stepdad, threatened to sue the owner of a number of 1D fan sites after they allegedly published false articles concerning, among other things, Briana and her appearance, her ongoing relationship with former lover Louis, and even the paternity of their 11 month old son Freddie. The woman in question, who is not named in the reports but who owns all of the fan sites in question, has reportedly retaliated to the letters, insisting that they are covered under the First Amendment which protects the right to free speech. Devastated Louis Tomlinson has broken his silence on Instagram to thank his fans for their non-stop support following the tragic death of his mother, Johannah Deakin last week who passed away from leukaemia. The 1D star took to the social media site to post a picture from his performance on the X Factor over the weekend of his new song, Just Hold On, which he dedicated to his late mum. 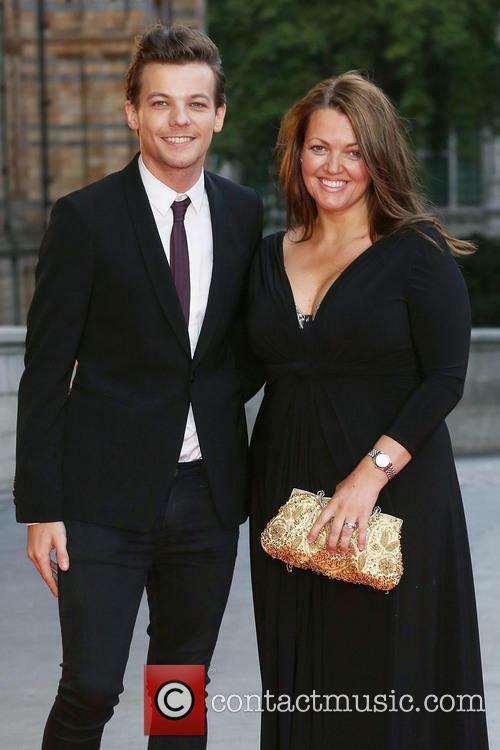 Johannah Deakin, lost her battle with leukaemia on Wednesday at the age of 42. Louis Tomlinson delivered an emotional performance on the ‘X Factor’, Saturday night, just three days after his mother Johannah Deakin tragically passed away. The 24-year-old was joined by DJ Steve Aoki, to perform collaboration ‘Just Hold On’, the One Direction star’s first solo single. Following the tragic announcement that 1D star Louis Tomlinson’s mum, Johannah Deakin, passed away on Wednesday (7 Dec), it has been revealed the singer will perform his new track on the X Factor over the weekend in a touching tribute to her. In a statement released yesterday (9 Dec), Johannah’s family revealed she had died at the age of 43 after an aggressive battle with leukaemia. Liam Payne is set to collaborate with Louis Tomlinson on a new single, although it has yet to be confirmed who the track was written for. 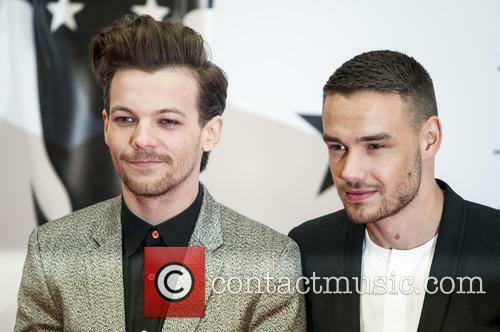 Liam Payne is set to collaborate with Louis Tomlinson on a new single. The One Direction band members have joined forces on a forthcoming track one year after the 'History' hitmakers decided to go on an extended hiatus, and the pair have penned the song together, which is called 'Something That Scares Me About Love'. Although it is unknown who the duo penned the song for, musical director Tim Crooks has revealed he is desperate to work with 23-year-old Liam again. One Direction fans have responded to rumours that Cheryl and Liam Payne are expecting a baby with a bizarre hashtag calling on band members to use condoms. Rumours that Cheryl is pregnant have been circulating for ages now, but when the singer made her first public appearance in months last night, #CondomCampaignFor1D began trending on Twitter. Cowell had recently said he was “expecting to announce something soon with Niall”. Niall Horan has reportedly made the shock decision to sign a solo record deal with Universal Music, instead of Simon Cowell’s Syco label. According to reports, the label pursued Niall to sign a deal after failing to lure away Harry Styles, who ended up staying with Sony, the label which houses Cowell’s Syco. Has Niall Horan inked a solo deal with Universal? A US source told the Daily Star: “This will come as a real blow to Cowell who has been talking to Niall for months, wanting him to sign a deal with his label Syco. He made a number of big money offers to try and persuade Niall to sign up but, in the end, Universal came in and put even more money on the table. 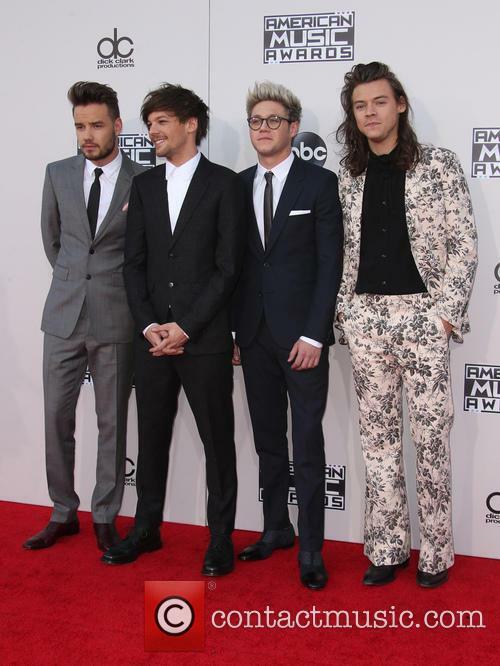 The One Direction members say they’ve been targeted by fans leaving “disgusting” messages on their phones. 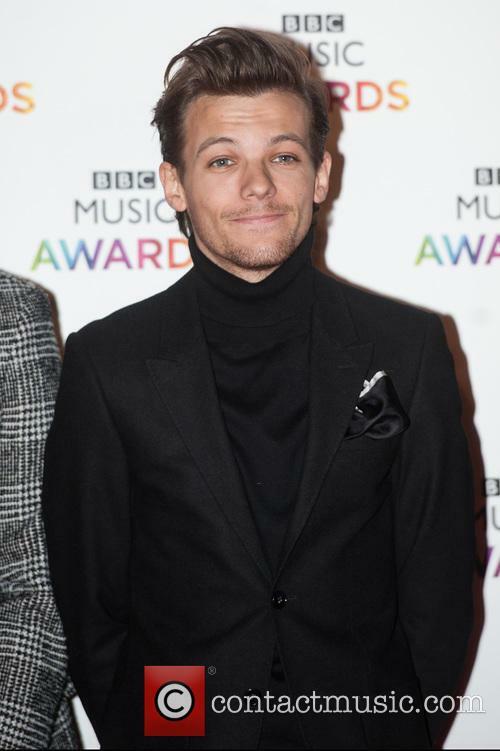 One Direction’s Louis Tomlinson has said he’s been forced to change his phone number after receiving “disgusting” messages on WhatsApp from “losers”. His bandmate Niall Horan has also had the same problem, revealing that he too has received “horrific” messages on the app. Louis Tomlinson and Niall Horan have both had to change their phone numbers. “Time to change my number .. Getting some disgusting stuff on what's app... Losers!” Tomlinson tweeted. “Me too mate,” his bandmate Horan replied. “Horrific Some of the things people are saying." Louis Tomlinson has set up his own record label under Sony with the help of Simon Cowell to source a new girl band. 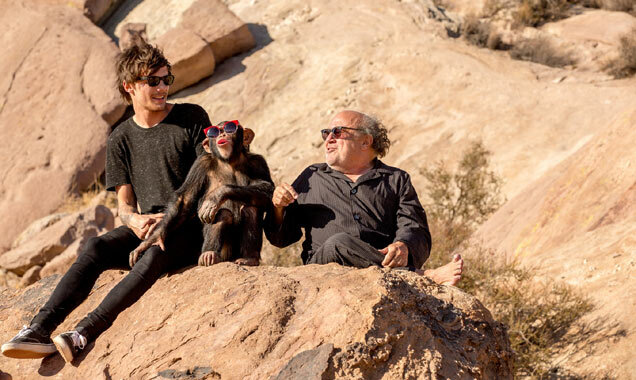 Louis Tomlinson has set up his own record label to source a new girl band. The former One Direction singer has partnered up with Simon Cowell to launch their own label imprint under Sony in a bid to find the next big all-female group. Speaking to The Sun newspaper about the latest venture, the music mogul said: ''He [Louis] has just signed a deal with us as an imprint of a record label. He has a new artist who is going to be released this year I hope who are incredible. 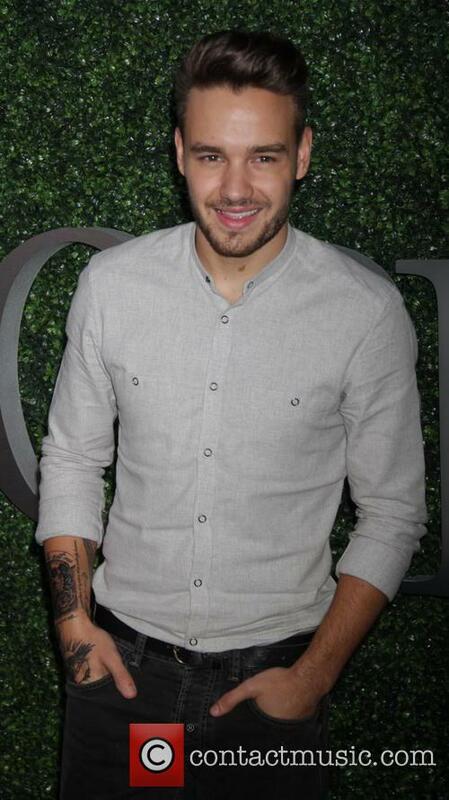 Payne recently signed a solo deal with Capitol Records, whose owner Universal is a rival of Sony. They’ve only been on hiatus for a few months, but it appears Simon Cowell is already having trouble remembering the names of all the One Direction boys. Speaking at an ‘America's Got Talent’ press conference, Cowell failed to mention member Liam Payne while he was praising the loyalty of the boyband. Has Simon Cowell forgotten about Liam Payne already? 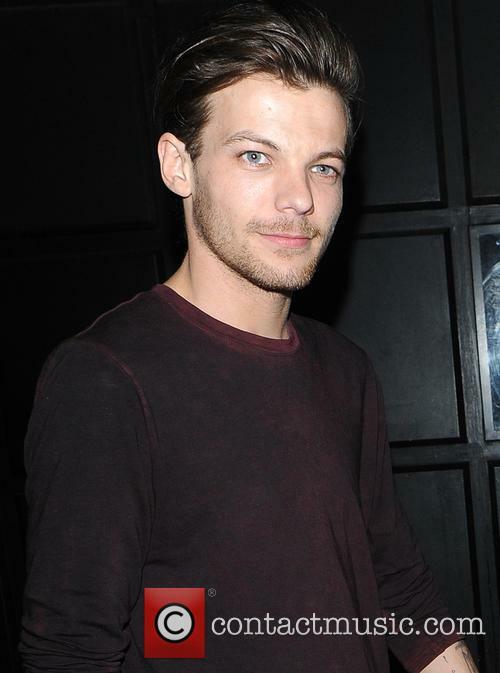 The One Direction singer is seeking joint custody of his son with ex Briana Jungwirth. One Direction star Louis Tomlinson is reportedly willing to settle his custody dispute with the mother of his son Briana Jungwirth, if he’s given pre-approval of all pictures of Freddie she posts on social media. It was reported last week that Louis had filed for joint custody of Freddie, asking for 50/50 physical and legal custody between him and Jungwirth. 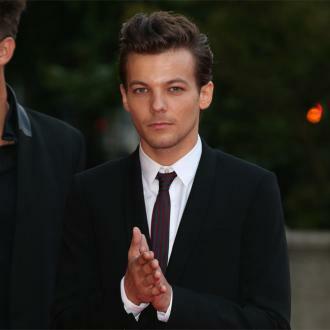 Louis Tomlinson is reportedly seeking pre-approval of pictures of his son. TMZ reports that Louis would like to avoid a court battle with Briana and has laid out his terms, which include getting pre-approval rights of any pictures of Freddie Briana wants to post on social media. Tomlinson is currently in a custody battle with Freddie’s mother Briana Jungwirth. Louis Tomlinson wants privacy for his five-month-old son Freddie Reign. The statement says that the "the levels of paparazzi attention on Freddie" pose security issues and are "intolerable and completely unjustifiable." The attention put on Freddie is said to be impacting on Tomlinson’s visitation time and is impinging on the baby's day-to-day life, including doctor's visits. The 1D singer has reportedly become fed up with his ex, Briana Jungwirth, granting him "inconsistent" access to their 5 month old son Freddie. Louis Tomlinson is reportedly considering heading to court in order to fight for joint custody of his baby son Freddie, after becoming fed up with “inconsistent” access to him from his ex-girlfriend, Brianna Jungwirth. Tomlinson, 24, shares five month old Freddie with stylist Jungwirth, and has relocated to the U.S. in order to be closer to his son, and rents a $1 million home in Calabasas for them in addition to paying $15,000 per month in child support to her. Now, however, TMZ reports that he is gearing up to go to court in order to get the terms of access to his child re-negotiated by a judge, after becoming fed up with Jungwirth keeping Freddie from him seemingly on a whim. One Direction’s Louis Tomlinson and Niall Horan will be reunited this Sunday (June 5th) during charity football match Soccer Aid, in support of Unicef. But while the two singers spent years making music together before One Direction went on hiatus in January, this Sunday they’ll be on opposing teams. One Direction mates Niall and Louis will face off at Soccer Aid on Sunday. Louis will be playing for the England team, alongside celebs including Olly Murs, Jack Whitehall and assistant manager Robbie Williams. 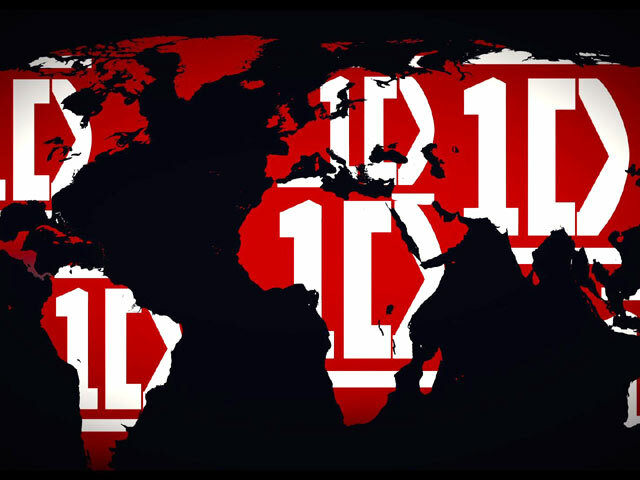 While Niall will be on the Rest of the World team with Kasabian’s Sergio Pizzorno and actor Michael Sheen. 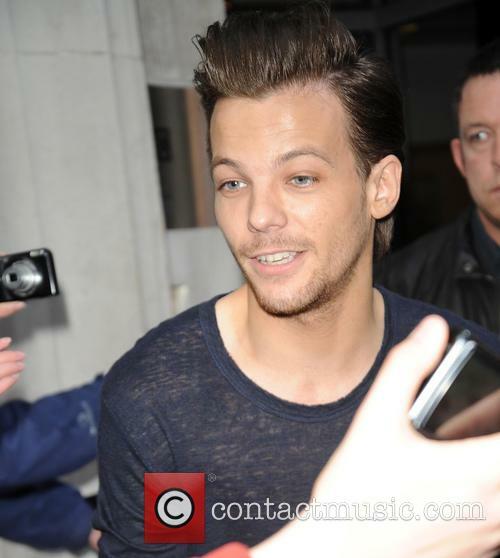 Is Louis Tomlinson In Line To Play Jamie Vardy In Biopic Film? The One Direction singer is being tipped to play the England and Leicester City star in a rumoured movie about the footballer's life. 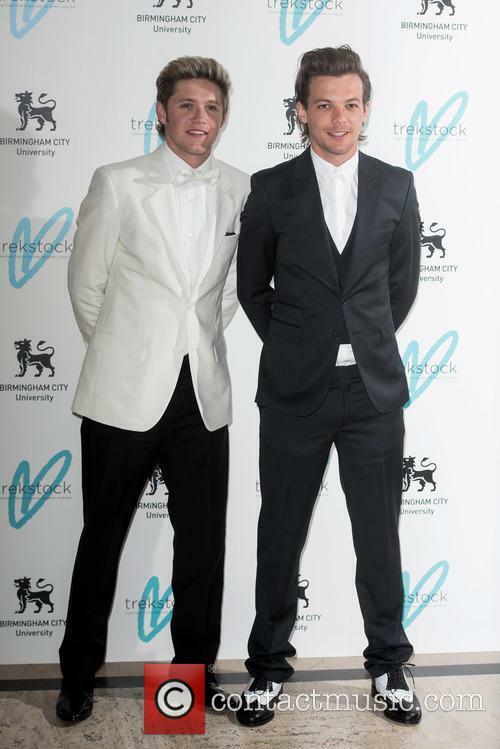 Louis Tomlinson is keen on the idea of portraying his friend Jamie Vardy on the big screen in a rumoured biopic about the England and Leicester City footballer’s life, as he was interviewed at Vardy’s wedding last week. Is Louis Tomlinson in line to play Jamie Vardy on the big screen? 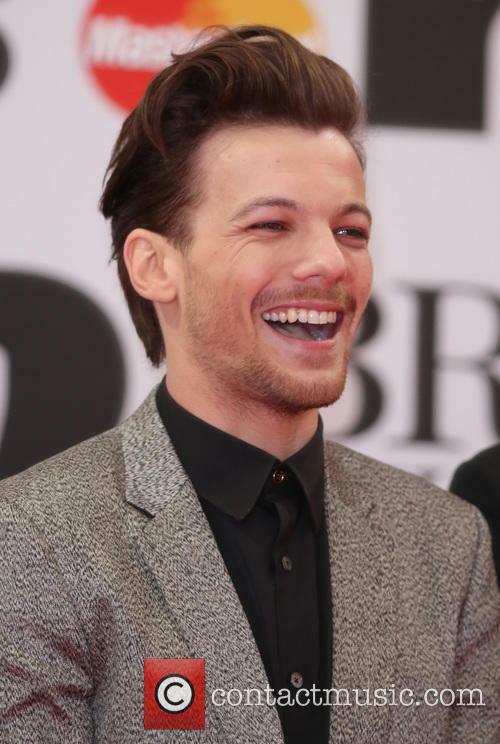 Continue reading: Is Louis Tomlinson In Line To Play Jamie Vardy In Biopic Film? 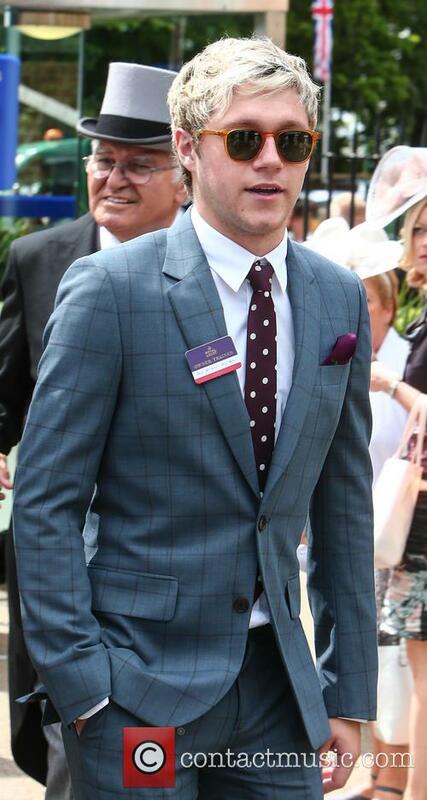 Is Niall Horan Planning To Move To Australia? According to his friend, former AFL player Brendan Fevola, Horan is planning to move to Australia as he has a cousin who lives in Melbourne. One Direction star Niall Horan is thinking about a move to Australia, according to his friend and former AFL player Brendan Fevola. 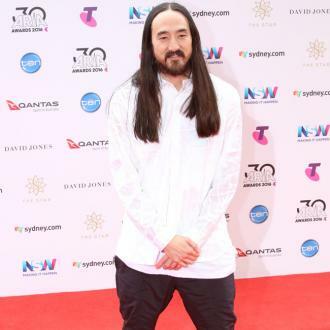 The reports, sure to disturb 1D fans who are increasingly concerned that the group’s much-vaunted hiatus might be significantly than they had bargained for, came after the 22 year old singer tweeted Fevola and Aussie cricket legend Shane Warne after they were spotted on the red carpet taking pictures together at the Logie Awards (celebrating the best in Australian television) on Sunday (May 8th). 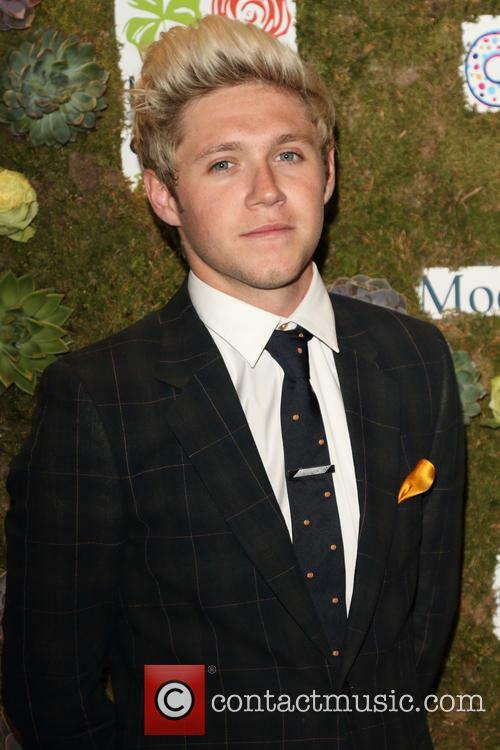 Continue reading: Is Niall Horan Planning To Move To Australia? The band said they’d be back in a year, but it’s now been reported the reunion won't happen before 2020. 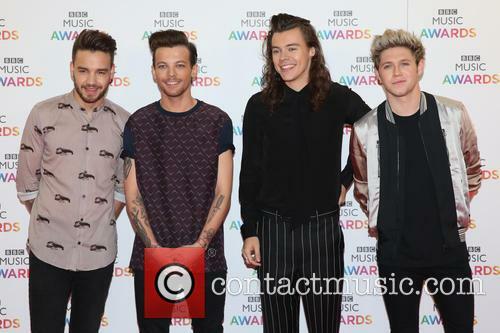 Bad news for One Direction fans, as it looks as if the boyband won’t be getting back together anytime soon. According to the Daily Star, Harry Styles, Liam Payne, Louis Tomlinson and Niall Horan are having so much fun away from the band, their year-long hiatus has been extended. 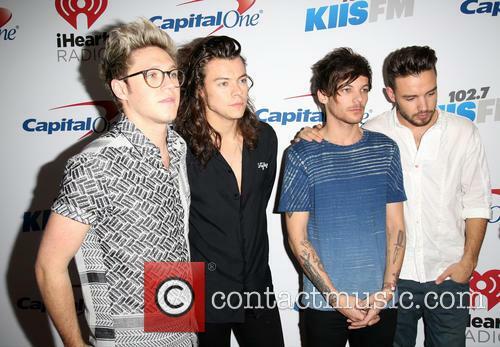 One Direction are said to not be reuniting any time soon. Louis Tomlinson’s baby son Freddie might only be three months old, but the One Direction singer is wasting no time getting him ready for a lifetime of football fandom, sharing a sweet picture on Instagram on Thursday. The Directioner, who welcomed his first child with his ex-girlfriend Briana Jungwirth back in late January, posted a picture of the 11 week old baby in a white outfit with a miniature football between his legs. Fans of the singer know that the 24 year old is a big fan of his hometown team Doncaster Rovers F.C., whom he made a failed bid to actually buy back in 2014. He’s also signed as a non-contract player for the League One team, and has even appeared once for the reserve side. The 1D singer, a lifelong supporter of the South Yorkshire club, won the fan competition to design their new away kit - but others are up in arms at the result. Louis Tomlinson has won a fan competition held by Doncaster Rovers Football Club to design the team’s new away kit for next season, leading to many of the club’s fans to decry the result as a fix. 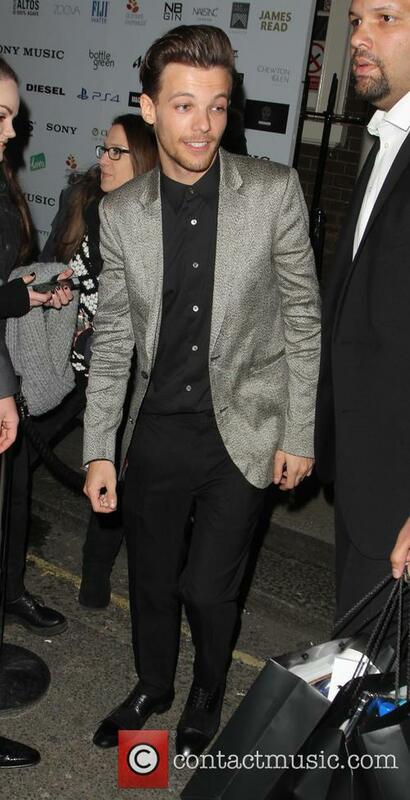 The One Direction singer, 24, designed the black and grey kit with his grandfather Len when he was briefly back in Britain in March. However, some Doncaster fans have accused the club of fixing the results to gain maximum publicity, although the final vote was decided by fans from five of the best entries selected by the club. 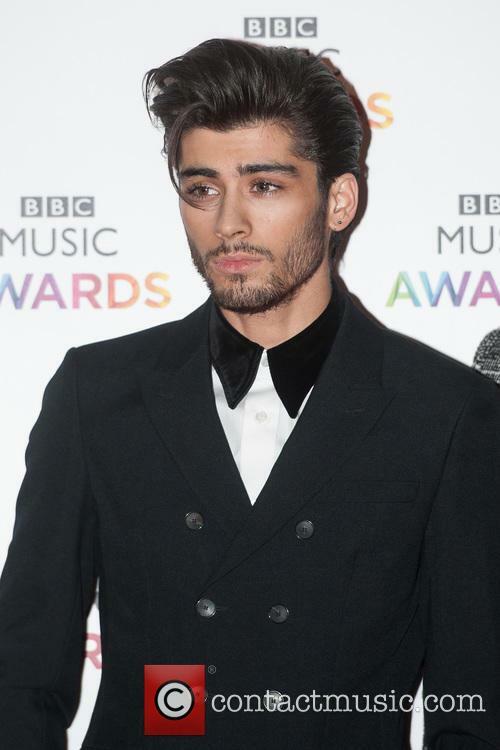 Zayn Malik has struck out successfully after he quit internationally best-selling band One Direction with his number one single, Pillowtalk, and an eagerly anticipated debut album, Mind of Mine. However, it seems his former bandmates are still playing on his mind and the singer has revealed he hasn’t seen Harry, Niall, Louis or Liam since he left the group. 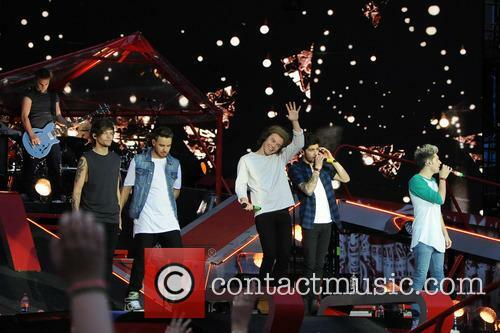 Zayn explained that he has tried to reach out to the boys but without any response. Tomlinson's relationship with baby Freddie's mother, Brianna Jungwirth, would appear to have soured. One Direction star Louis Tomlinson is reportedly getting ready for a legal showdown with Brianna Jungwirth, the mother of his newborn son Freddie, over custody rights and alterations to the singer’s financial commitments to her. Until now, Tomlinson has been said to have been on good terms with fashion stylist Jungwirth, whom he dated briefly last summer. “Although they're not romantically involved, Louis thinks Briana is a great woman and will be a fabulous mother. Louis has been helping Briana financially and is prepared to get stuck in with all the tasks that caring for a baby demands,” was the position before the birth back on January 21st. 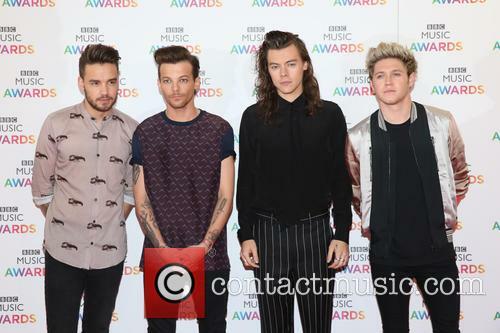 The band are nominated in the Best Video category for single ‘Drag Me Down’. 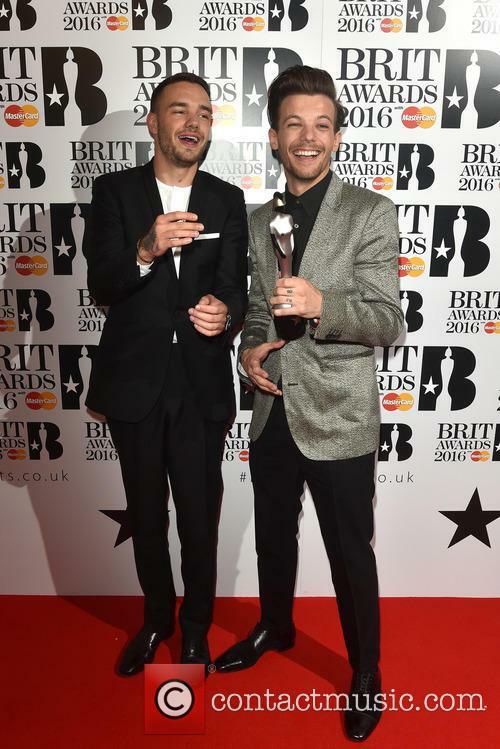 Yes they’re currently on hiatus, but many One Direction fans were hoping for a boyband reunion at tonight’s Brit Awards, where the group are expected to take home the Best Video award. But it seems only two members of the group will be in attendance tonight, with Harry Styles and Niall Horan missing out. Don’t expect Harry Styles to make an appearance at tonight’s Brit Awards. The One Direction star welcomed his first son with stylist Briana Jungwirth on January 22nd. One Direction star Louis Tomlinson has shared a cute black and white pic of himself and one-month-old son Freddie Reign. In the picture, which Tomlinson captioned ‘Lad and Dad’, the 24-year-old can be seen cradling the infant, while stroking his nose. Zayn left the band’s tour in Asia days after he was accused of cheating on fiancée PerrIe Edwards following the publication of pictures showing him partying with another woman. The future of the world’s biggest boyband One Direction could be in doubt, following a difficult week for the group which culminated in Zayn Malik leaving their 'On The Road Again' tour due to stress. The singer, who is engaged to Little Mix’s Perrie Edwards, had been accused of cheating on his fiancée last week, while the band were on tour in Asia. Zayn’s departure from the tour was announced on Thursday by the band’s publicist Simon Jones who delivered the news on Twitter writing, "1D statement: Zayn has been signed off with stress and is flying back to the UK to recuperate. The band wish him well and will continue with their performances in Manila and Jakarta.” The 22 year old has since been spotted arriving home to Heathrow. 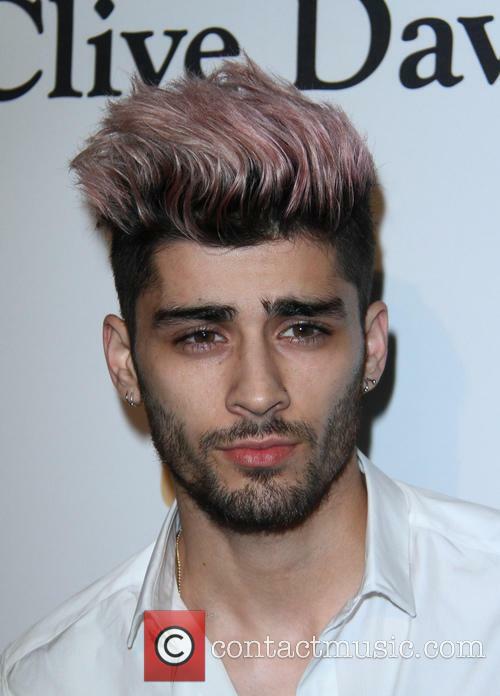 Zayn Malik is taking a break from One Direction's tour and is returning to the UK. The news has been confirmed by the band's representative. 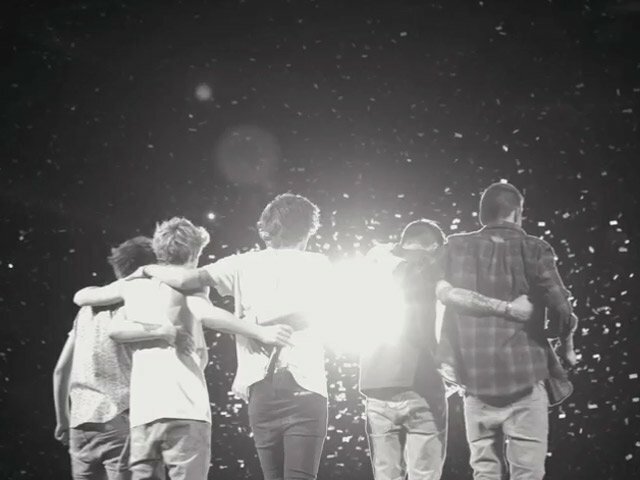 Zayn Malik is leaving One Direction's tour and heading back to the UK. 22-year-old Malik has been signed off with stress. Malik will miss the next three tour dates in Manila and Jakarta. He is hoping to return to perform with the rest of the band in Johannesburg on 28th March for the last four concerts on their world tour. Simon Jones, One Direction's publicist, released a short statement on Twitter. "1D statement: Zayn has been signed off with stress and is flying back to the UK to recuperate. The band wish him well and will continue with their performances in Manila and Jakarta," Jones wrote on Twitter. Zayn Malik has been signed off with stress. 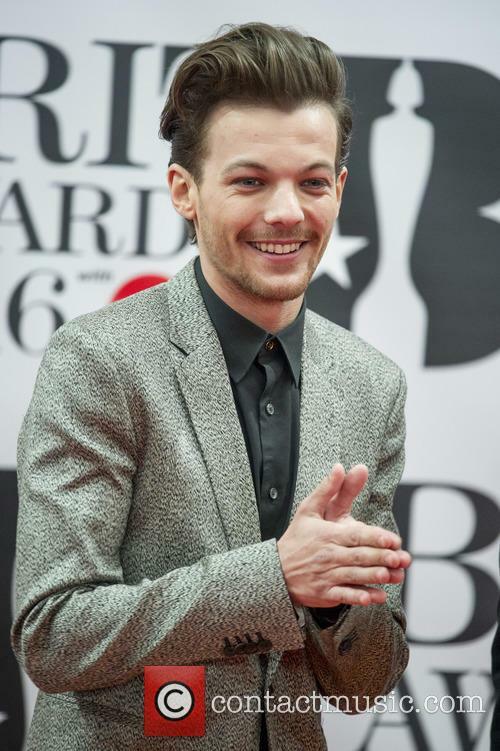 Read More: Louis Tomlinson Slams The Voice On Twitter. 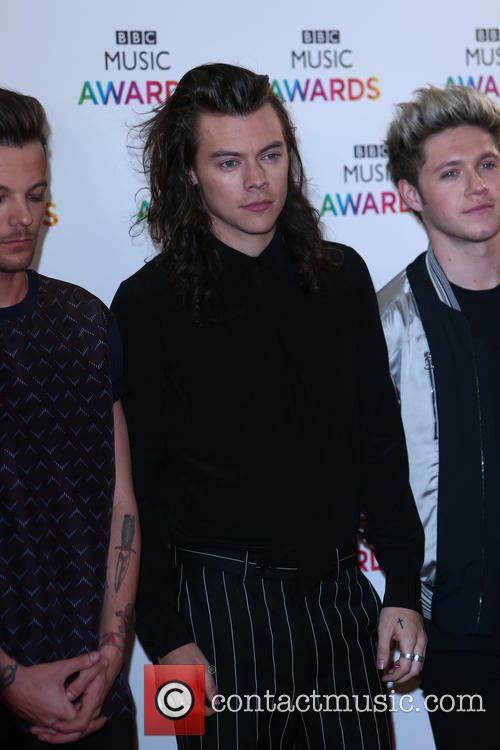 The 1D star is annoyed at the BBC show for continually criticising 'The X Factor'. 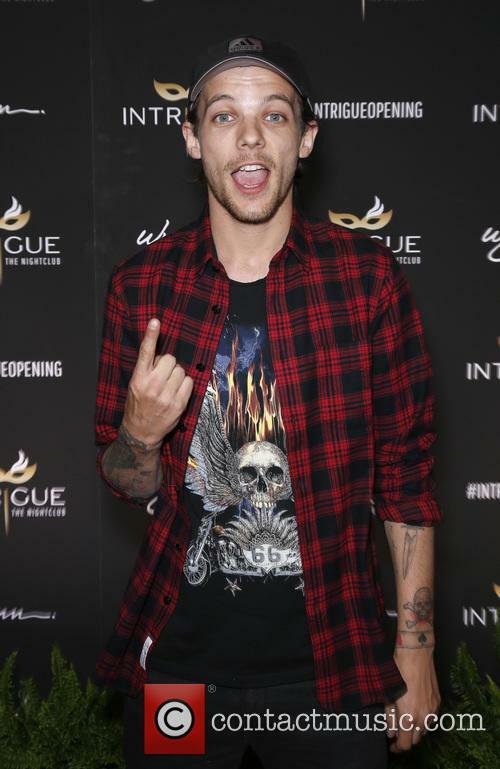 One Direction’s Louis Tomlinson is tired of ‘The Voice’ continually slagging off ‘The X Factor’. Ahead of the BBC’s flagship talent contest making its reappearance this Saturday (January 10th), the boyband member suggested that there wasn’t even a contest between the two programmes. 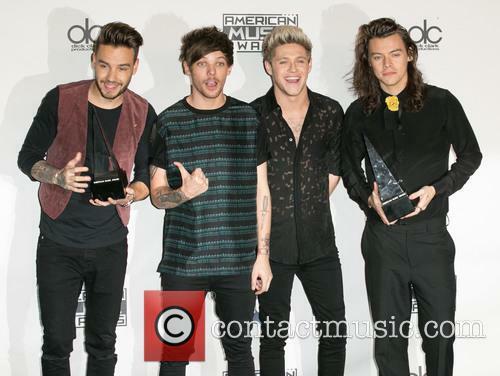 One Direction's Drug Scandal: Is Smoking Marijuana Considered Shocking Anymore? Once again, One Direction have become front page news, but do people really find their recent drugs 'scandal' shocking? Being caught with a joint is really nothing new in the world of pop, especially amongst those aggressively seeking a change of image that will subsequently add a semblance of ‘edge’ to their persona. For child stars especially, in attempts to free themselves from their enforced clean-cut youth and iconic childhood roles, to indulge in the smoking of marijuana is the go-to method of both distancing oneself from the past and declaring oneself as a fully independent adult. 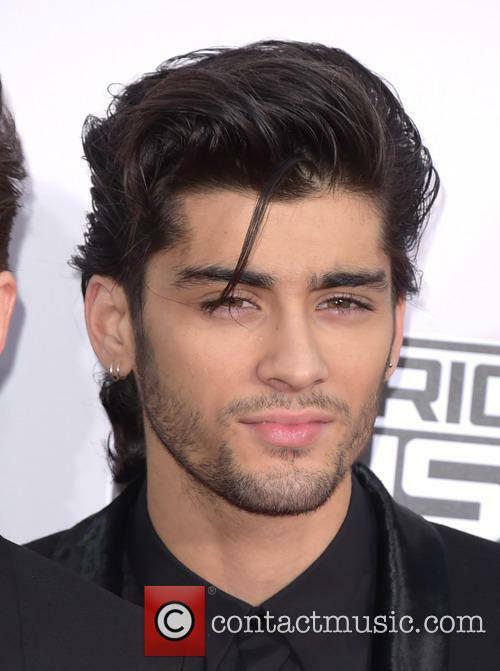 The group have come under fire from the tabloids for Zayn and Louis' actions. 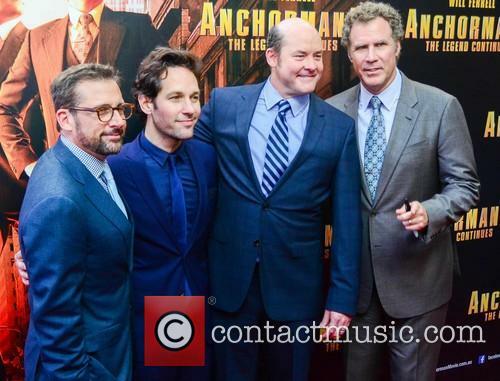 The celebrity world abounds with examples of such exploits. Remember the media storm over Justin Bieber’s incident with a “suspicious cigarette” or Miley Cyrus’ bong exploits, which have now evolved into her free and consistent utilization of marijuana symbolism? The celebrity media loves a scandal more than a Republican loves his right to bear firearms, but whilst the current One Direction drug ‘scandal’ has rather predictably been plastered all over the tabloid’s front pages, the majority of the public greets it with a collective shrug of the shoulders. They are, after all, adolescents- the prime age for indulging in experimentation with illicit substances and activities. Most adults will have indulged in similar instances of experimentation with an array substances at a similar age to these patchy-bearded pop stars. In terms of the pop world, this particular act has been seen many times before; so many times, in fact, that the whole ‘rebellion’ phase is part and parcel of the child actor discourse. Some take it just a little too far, and the ensuing descent into drugs has unfortunately claimed the lives of many of Hollywood’s exploited youngsters. 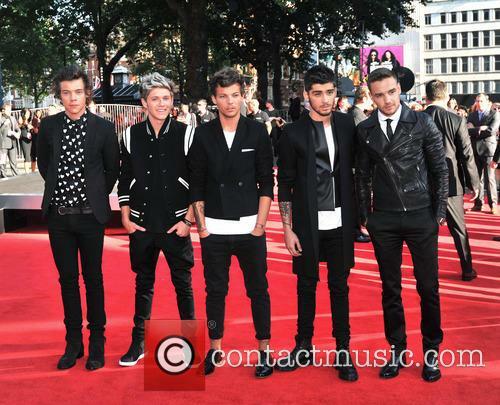 Continue reading: One Direction's Drug Scandal: Is Smoking Marijuana Considered Shocking Anymore? A video of One Direction members Zayn Malik and Louis Tomlinson purportedly smoking weed has been leaked. Will it damage the band's reputation and popularity? It’s the leaked video that everyone’s been talking about, but will JointGate damage One Direction’s pristine reputation? The boys have carved out a pretty clean cut image for themselves, could Louis and Zayn (now dubbed 'Zouis' by fans) have bought down the 1D Kingdom with a few little tokes? First things first, what actually happened? Well, Zayn Malik and Louis Tomlinson, who make up 2/5 of the world’s most successful boyband One Direction, were caught on tape alledgedly smoking cannabis in Peru. 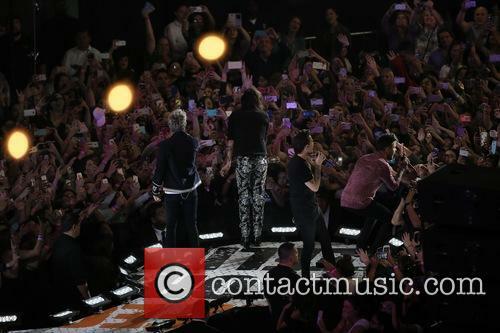 The leaked video, which was published by the MailOnline, was allegedly filmed on April 27 as the 1D singers were on their way to perform at the Estadio Nacional in Lima, Peru. 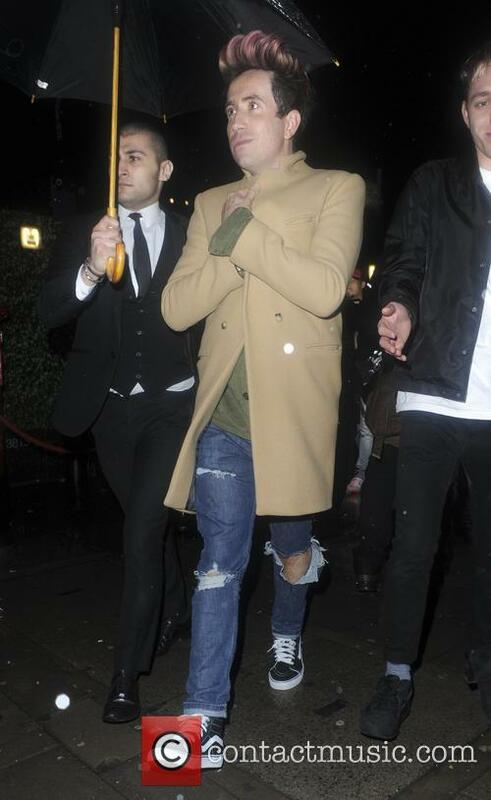 The One Direction star is seen puffing on a joint in Peru in a new video. Louis Tomlinson of One Direction has come under fire for not only sharing a marijuana joint with fellow band member Zayn Malik but also using a shortened version of the N-word in the same leaked video. 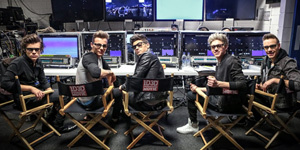 The new clip has sent shockwaves through One Direction's young fanbase as it presents a very different image to that of the usually squeaky clean singers. Filmed in the car on the way to a recent concert in Peru, the clip shows Zayn and Louis joking around with members of their crew and passing around a joint which is referred to as "Mary Jane," a euphemism for weed. Feathers have also been ruffled by Louis' flippant attitude towards police that they pass and is heard referring to the law enforcers as the "po po." Tomlinson is heard seeming to say "It's green only, n**" and blowing spoke whilst sharing the joint with the other passengers. A motorcycle police officer drives past and Louis says: "He's having a look. He's thinking 'I'm sure I can smell an illegal substance in there'. And he's hit the nail on the head." JLS announced this year that they were to separate and head out on their own separate ventures, announcing their last ever run of performances along with the news of their split this summer. Marvin Humes, Aston Merrygold, Oritsé Williams and JB Gill performed to over 20,000 fans at the O2 Arena in London as they said goodbye to their fans after enjoying one of the best success stories The X Factor has offered to date. 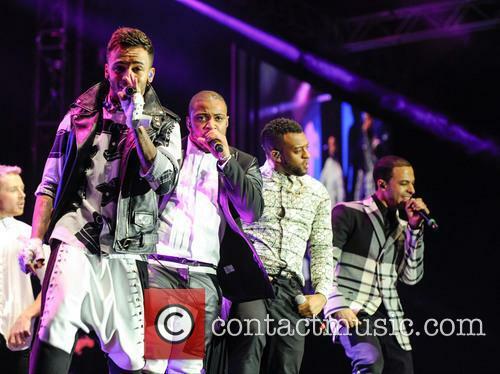 It was an emotional night, but one that didn't lack the excitement and expression of the JLS performances of old. 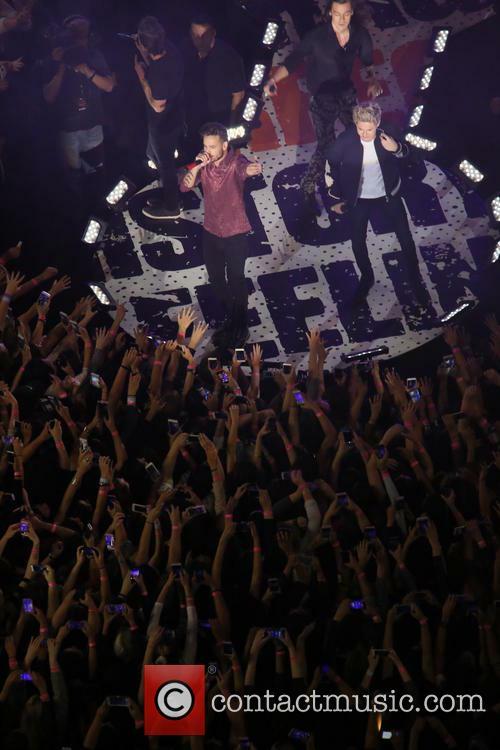 Among the thousands of screaming fans singing along in person for the last time, the boys also performed to a number of famous faces who didn't want to miss out on saying goodbye with the JLS boys. 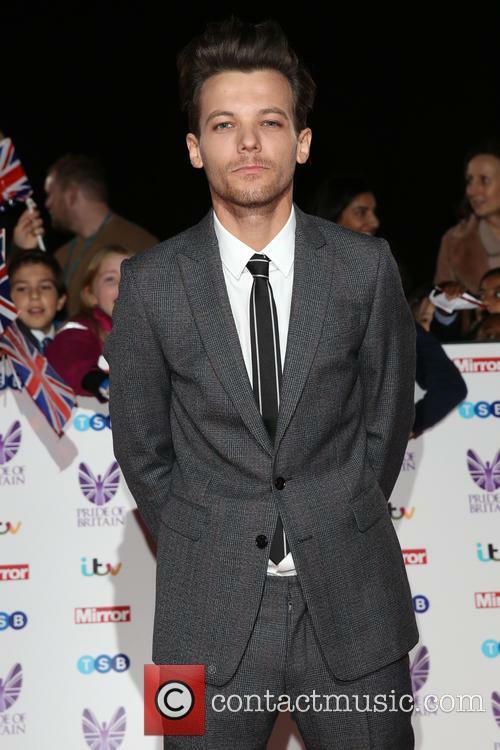 One Direction's Louis Tomlinson was there with girlfriend Eleanor Calder, as was Marvin Hume's wife and The Saturdays member Rochelle Humes. Former X Factor judge Cheryl Cole, who was on the judging panel in 2008 when the boys were first discovered, was also there, Instagramming a picture of the eventing with the caption: "Soooo proud of these boys ! Was here on their first day! It only felt right to be here on their last! Love you boys! #farewellJls #muchlove." 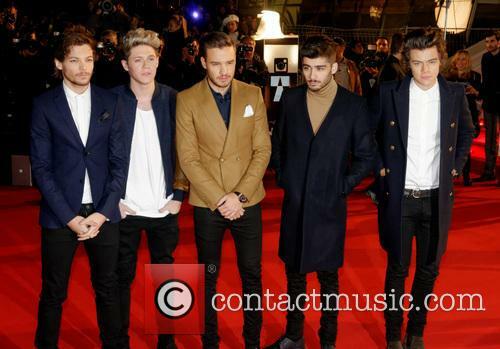 One Direction were booed as they took to the stage at the NRJ Music Awards in Cannes, France, last week (14 Dec.). 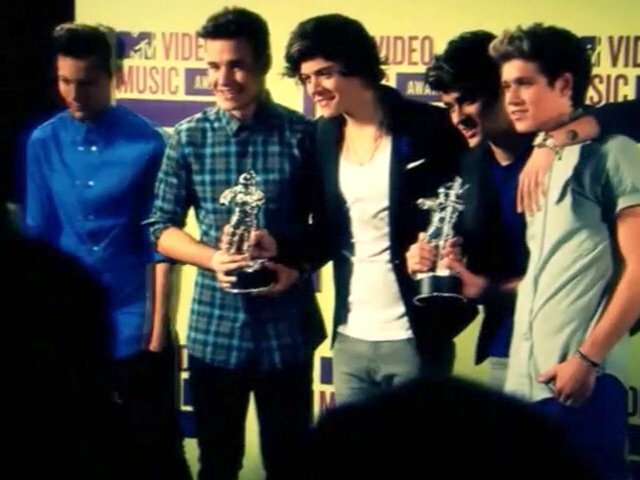 The British boy band were met with jeers when they took to the stage to collect their two awards, being met with boos from the audience both of the times they went up to the stage to collect their trophies. Have the One Direction boys suddenly decided to commemorate Lady Diana, the People's Princess, to coincide with the release of the Naomi Watts-starring film, Diana? Unlikely, but the leak does seem to be rather well-timed. A new One Direction Song Has Been Leaked. The band have just landed in Australia for the down-under section of their tour after the recent box office success of their on the road documentary movie, This Is Us. The band may be strapped aboard a skyrocket to fame and fortune, but this didn't stop their new single 'Diana' being leaked over the weekend. 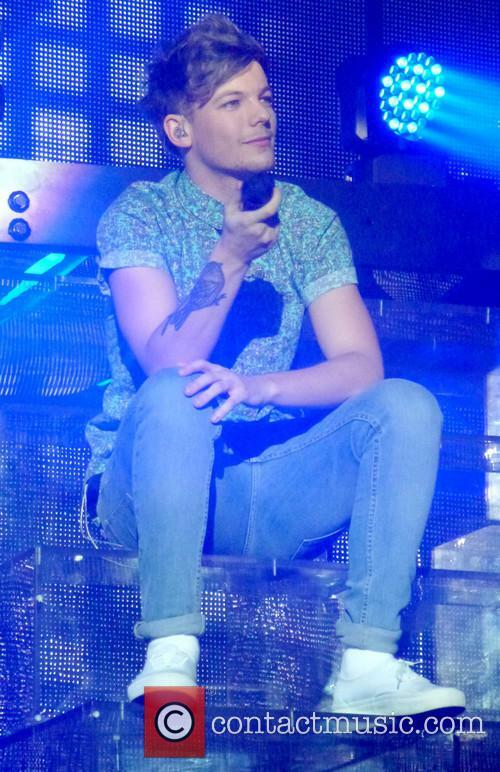 Louis Tomlinson endured a torrid time in Glasgow. Louis Tomlinson announced last month that he had signed for Doncaster Rovers on non-contract basis - a sort of PR stunt really, though reports suggested Tomlinson was actually pretty good. However, it's a good job that he hasn't the time to regularly lace his boots for the League One outfit given the rough ride he was given during a charity match at Celtic Park over the weekend. The game was organised by former Aston Villa captain and Bulgaria international Stiliyan Petrov, who retired from the game in May having been diagnosed with leukaemia in 2012. British pop heartthrobs One Direction became a worldwide sensation when they were thrust together on the 2010 series of 'The X Factor' after initially auditioning separately. The landed a prestigious Guinness World Record after becoming the first British band to debut at number one on the US Billboard 200 with their debut album 'Up All Night'; an achievement that not even The Beatles managed to claim. This telling documentary features a series of interviews with various people in the music industry as they determine what this '1D Mania' is all about, who really founded the band in the first place and the high-profile tabloid stories of Niall Horan, Zayn Malik, Liam Payne, Harry Styles and Louis Tomlinson. 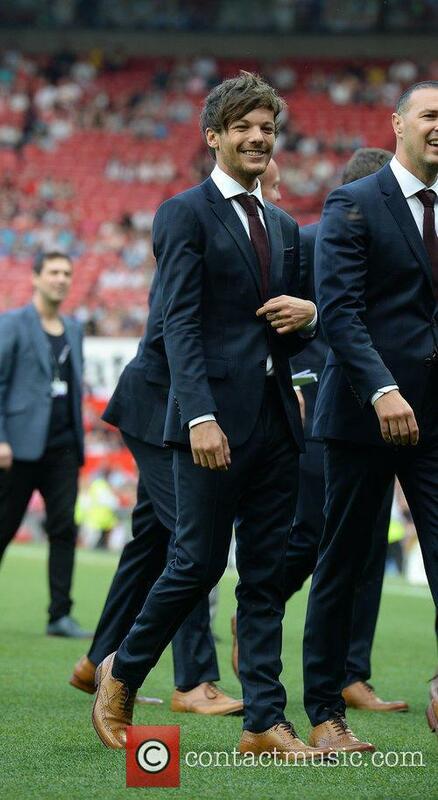 Louis Tomlinson dives into football. Louis Tomlinson’s career with One Direction has won him legions of adoring fans, but the singer might have it a bit tougher on the field. The teenage heartthrob is moving on to an entirely different demo, as he has recently signed with the Doncaster Rovers. Tomlinson is a Doncaster native, and while he has never played higher than Sunday League, apparently it was a childhood dream of his. Who could argue with that? Turns out Louis is a double threat. "I feel very honoured to have been asked to sign for Rovers and being able to help both the club and the amazing charity Bluebell Wood," the 21-year-old commented for the Rovers website. Tomlinson is referring to the fact that his appearances on the field (he has been signed as a non-contract player) will benefit the Bluebell Wood Children’s Hospice, which works with children with a shortened life expectancy. Louis is expected to don the Rovers colours at some point during the season and train with the team. Niall Horan, Zayn Malik, Liam Payne, Harry Styles and Louis Tomlinson may make up the biggest boyband in the world, but they are eager to prove that they're just a normal bunch of lads in their new documentary movie. The film sees them going back to their roots and reuniting with old friends; Harry goes back to the bakery he used to work at, while Zayn shows he hasn't forgotten his loved ones by buying his mum a luxury house of her own. 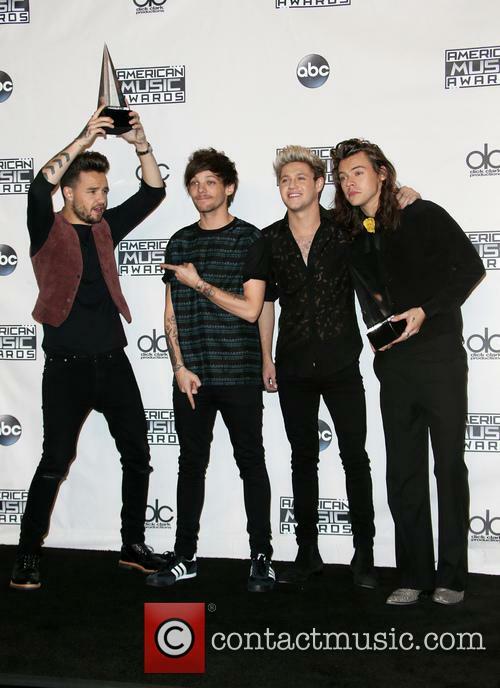 We see them through the eyes of their fans across the world, their proud parents and the owner of their record label Simon Cowell. They reveal how they've always wanted to sing, and show their genuine brotherly bond through countless on and off tour shenanigans including fishing and camping trips. They're the biggest boyband in the world since coming third in the seventh series of 'The X Factor' in 2011 and they've had two number one multi-platinum albums since their inception. One Direction are now here on the big screen in their first movie which chronicles their rollercoaster lives and dramatic pop career over the past year or so. We'll see the die hard devotion of their army of fans, how the boys feel about being away from their home and families all the time, how they've built such a strong, brotherly bond as a group and their general boyish shenanigans. Harry Styles' might want to book his tattoo appointments for times that fit his schedule, as walking around with unfinished ink is just not cool, especially when it looks like he's got 'Things I C***' written on his arm. The One Directioner was papped landing in L.A with his One Direction cronies, and some eagle eyed cameraman got a nifty close up of his latest - and unfinished - ink, and is it just us or does it contain a rather unsavoury profanity? Most outlets say the ink reads 'Things I can' and 'Things I can't' on Hazza's left and right forearm. But the latter looks suspiciously like the C-word. You need to get those tats finished before you show them off Harry; can't and c*** are too similar! During an appearance on Irish chat show, The Late Late Show, Harry revealed that he had been to the tattoo parlour that same day but refused to show them off as they were still bandaged up. He also declined to say what the tattoos actually meant, but his band mate Nial Horan quickly said: "It's a London thing," the Daily Mail reported. 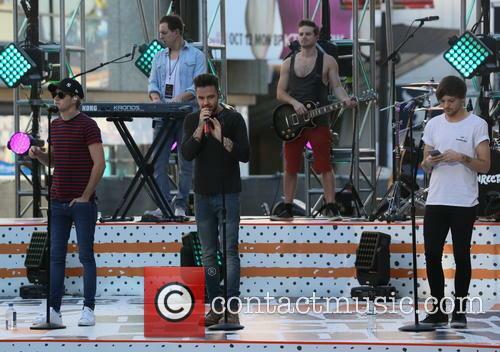 The Ex-X-factor boys are in Los Angeles to perform on the U.S version of the show that made them famous. They're also set to meet up with Ellen DeGeneres on her show before Harry comes back to Dublin to get that tattoo finished up! Continue reading: Harry Styles' Unfinished Tattoo: 'Things I C***'? 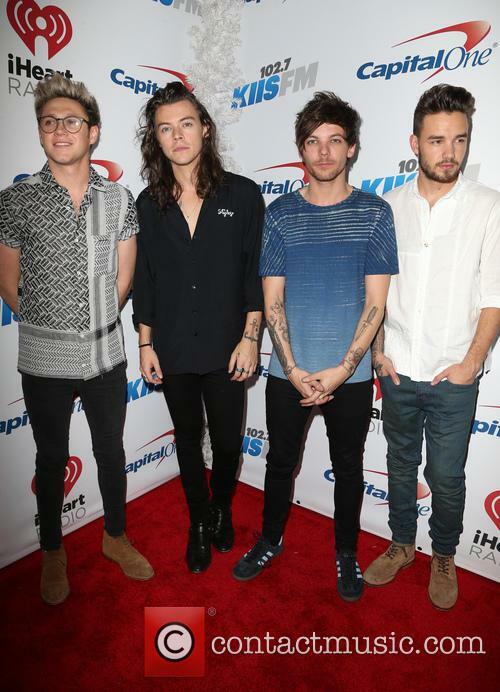 The One Direction boys have pulled in a cool £100 million in less than two years in the job. The group actually finished fourth on The X Factor, though have become easily the most successful act to emerge from Simon Cowell’s reality singing contest. Their earnings – revealed in a chapter of Tom Bower’s biography on Cowell – make the boy-band one of Britain’s most financially successful groups of all time. This figure actually relates how much the five lads have earned themselves, and is separate from the £200 million they’ve already netted for Cowell and bosses at Sony. Bower writes, “The songs, publishing, discs, DVDs, merchandising and endorsements brought in huge profits, with the five members of the group together estimated to have earned nearly £100million. Naturally, Sony and Syco raked in much more.” Though sell-outs tours have raked in millions, the majority of One Direction’s earnings come from huge endorsements and merchandising deals with Nokia phones, Pokemon games and Hasbro toys. This month, they became the global face of Pepsi in a deal worth £11 million – this sum is not included in Bower’s estimations. Crikes. Unsurprisingly, the loveable scamps have already begun spending their fortune, with Louis Tomlinson recently shelling out £2.5 million on a luxury five-bed North London house, while Zayn Malik paid £2.2 million for a similar pad. 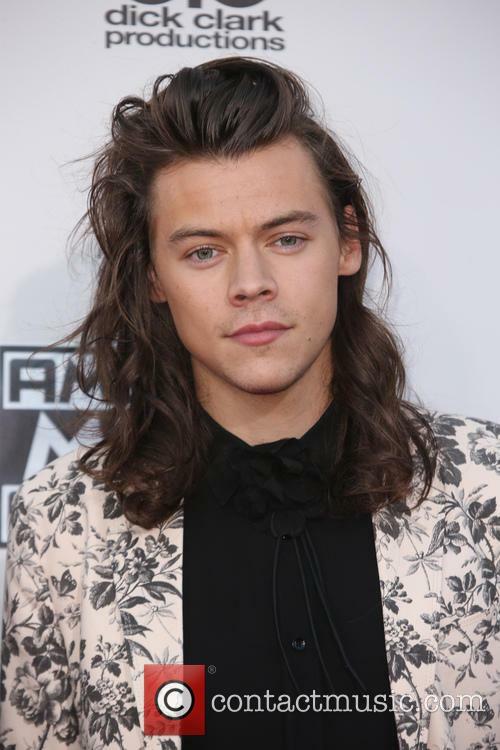 Harry Styles opted for a property in swanky East London. 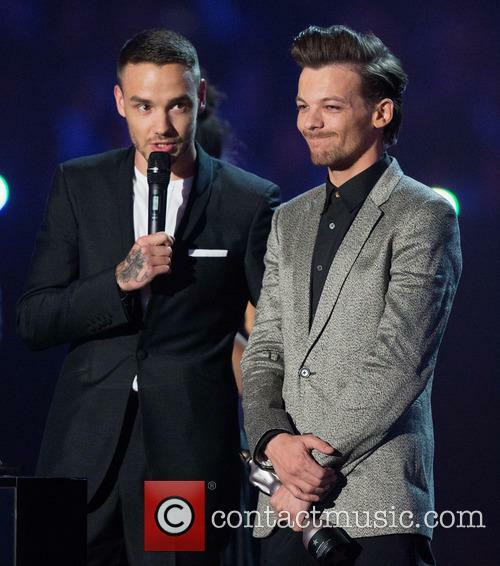 Has Louis Tomlinson Signed A Deal To Be A Judge On Next Year's X Factor?